Like I mentioned earlier that my two and a half year old is a picky eater, I try to make sure that whatever goes south of her mouth is packed with nutrition. 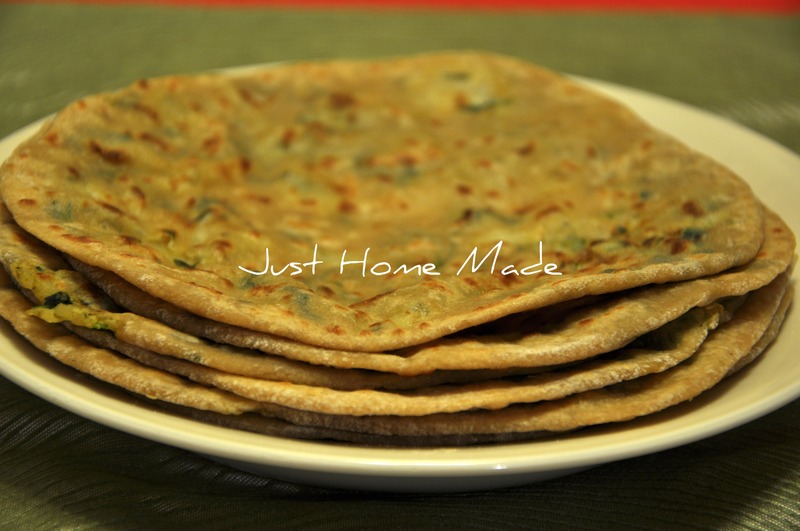 This is a nutritious version of the common Aloo Paratha adapted to the tiny taste buds of toddlers. For the dough, mix the whole wheat flour with salt to taste. Add whole milk little at a time and mix until all the dry flour is incorporated into and forms a soft but not too wet and sticky dough. Knead for a couple of mins, cover and set aside for 30 mins (as this results in a soft pliable and moist dough). Mix the mashed boiled potato with salt to taste, crushed black pepper and a hint of powdered dried pudina leaves. Finally add in the happy cow cheese wedge (usually one wedge for a medium sized potato) and mix the filling together. Take a dough ball the size of a medium lemon and shape it into a bowl. Scoop a spoon of filling into this bowl. Bring all the sides of the dough bowl to the center and press shut and flatten on the palm of your hand. Dust this dough patty with dry flour on both sides and roll out flat slowly with a roller, making sure to not let the filling out. 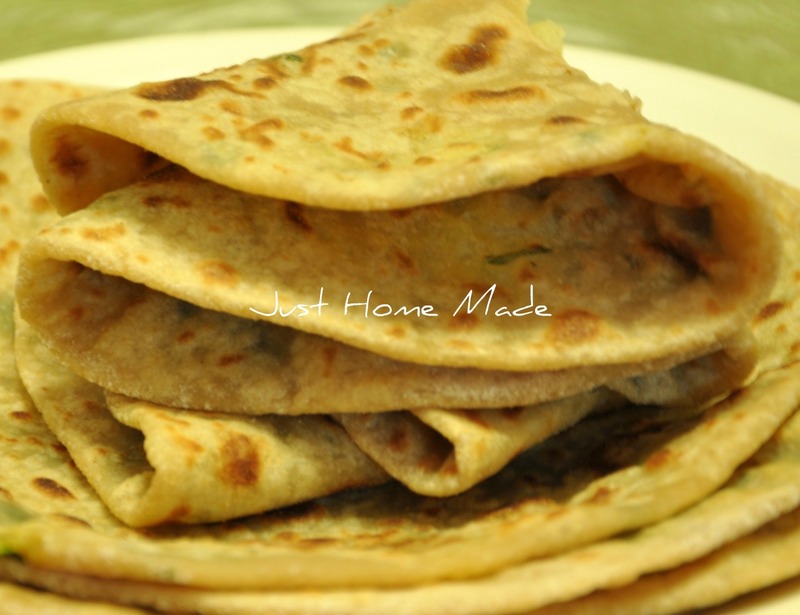 Now on a heated griddle or ‘tava’, roast this paratha until brown on both the sides. Note that I do not use oil for cooking the paratha. Smear both sides with home made ghee and serve with whole yogurt on the side, when the paratha has cooled enough for the toddler hands. Make sure not to overdo the dried pudina as toddler taste buds are still developing and instantly reject strong tastes and/or smells.